Whether you’re looking for something to do on a rainy day in Cornwall or just need a break from sunning yourself on the beach, there’s a great choice of interesting museums to keep you busy. Read our Cornwall museum guide to find out where some of the most fascinating museums are located and what you can expect to find there. Helston Museum is one of the free museums in Cornwall so you can have a fun day out without spending anything! Housed in one of Helston’s historic Market Buildings, this old fashioned museum contains one of the largest social history collections in the South West. There are lots of exciting things to see including archaeological evidence of the earliest settlers to the Lizard Peninsula, a huge 5 ton cider press and 18th century toys and household items. Their collections include geology items, costume exhibitions, social history and local industry items and tons of old photographs.It’s a large museum with loads of different areas to explore and they have regular events and exhibitions.Facilities include a family play area and a museum shop. They also offer guided tours. Jump aboard historic jets and stroll through the Hardened Aircraft Shelter at Cornwall Aviation Centre. Kids love sitting inside the Hawker Harrier jet and the guided VC10. The Vickers Varsity tours are a great experience for all the family. Discover what 1950s, 60s and 70s military flying was really like and quiz the experienced staff about the types of aircraft. Once you’ve explored the classic jets and other aircraft, head to the 1950s American style café or enjoy a picnic within the open grounds next to RAF St Mawgan and Newquay Airport. This fantastic attraction is also dog-friendly. Cornwall’s Regimental Museum is housed in “The Keep” in Bodmin, a magnificent Grade II listed Victorian building that dates back to 1857. The displays feature over 300 years of history and tells many stories about battles throughout history, as well as the lives and bravery of individual soldiers. Discover military uniforms, medals, weaponry and much more at this Cornwall museum. There is even a piece of the Berlin Wall within the museum. There are various events and exhibitions on throughout the year, the museum is dog-friendly and there’s a really good gift shops which sells everything from military items, to cute and quirky gifts, to second-hand books. Did you know that the Victorian Clay Works in St Austell was once Cornwall’s biggest mining industry? 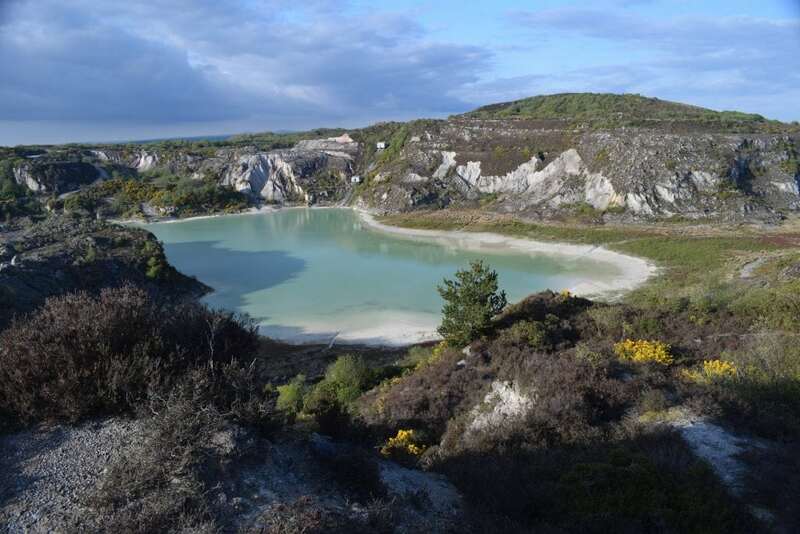 Visit Wheal Martyn Clay Works to discover old tools and machinery and learn about the fascinating history of the China Clay Pits in the indoor discovery centre. Discover the settling tanks, waterwheels and wagon huts and see if you can find ‘the Crib Hut’ where workers enjoyed their break. There’s also a nature trail to follow and a whole host of events, tours and workshops to take part in. Burn off some energy in the large woodland area or the adventure trail and then seek refreshments in the cafe, which includes the ‘Little Miners’ menu. Wheal Martyn is a great day out for families, walkers, history buffs and nature enthusiasts and is a very dog-friendly place too. Looking for a Cornwall museum with an arty twist? Find incredible sculptures made from bronze, stone and wood at the Barbara Hepworth Museum and Sculpture Garden. The impressive sculptures are on display within the museum and outside in the garden. There’s also paintings, drawings and archive material to discover. Find out about the fascinating history of Barbara Hepworth’s life, from when she moved to Cornwall with her husband and children at the start of the war in 1939 and lived and worked in this pretty studio and garden from 1949 until she died in 1975. Many of the sculptures are still in the same position as where she placed them herself within the garden. If you’re an art lover, combine your visit with the Tate St Ives for discounted ticket prices. 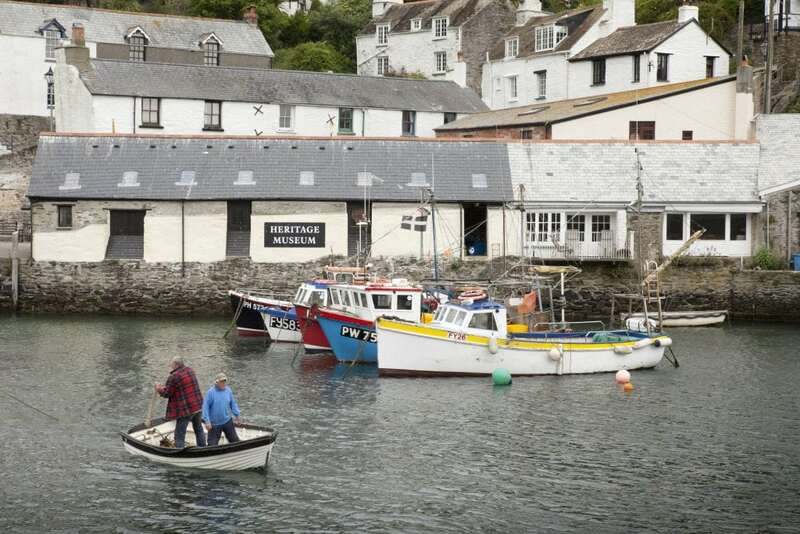 In a beautiful location overlooking the harbour you’ll find Polperro Heritage Museum of Smuggling & Fishing. The photographs and memorabilia date back to the 18th and 19th centuries. During this time, both fishing and smuggling thrived in the Cornish village of Polperro. The remarkable history of the quaint harbourside village is brought to life with their captivating displays. Find out about the pilchard fishing industry and how pilchards were salted and cured before the oil was pressed from them using large screw presses. Learn about when contraband goods were smuggled across from Guernsey. There are a few pubs and cafes in Polperro to relax in after your museum trip or if the weather is nice, you can take an ice cream onto the beach. Porthcurno might be a tiny coastal village in Cornwall, but it was once the home to the international telecommunications hub. In fact, it had the largest telegraph station in the world which has been turned into the Telegraph Museum. Learn about Britain’s wartime communications, explore World War 2 tunnels and discover the Cable Hut where the underwater cables came ashore. There are captivating interactive displays and fascinating information about the use of electricity with fibre optic cables that still run beneath the world’s seas and oceans. It’s a fun learning experience for all the family and the museum is set in such a stunning location. After exploring, why not relax with a Cornish cream tea and enjoy views of the ocean and sub-tropical gardens? The Museum of Witchcraft & Magic is an independent museum which houses the world’s oldest and largest collections of items relating to witchcraft and magic. This intriguing museum has over 3000 interesting objects and over 7000 mystical books to see. Learn about the history of magical practice from ancient times to the modern day. 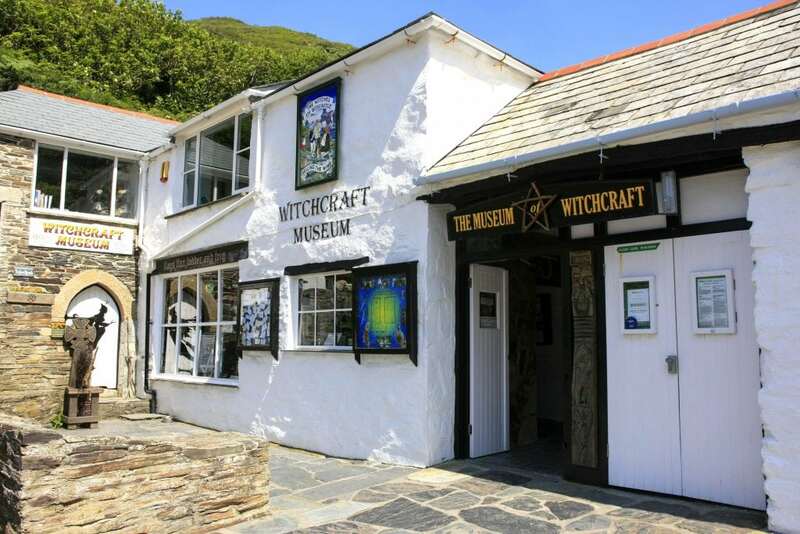 Occasionally, you can visit the museum during one of their late night, candlelit openings and take part in their ghost story events, guided walks around Boscastle or watch theatrical productions. Their quirky shop sells spells, charms and magic tools, jewellery, incense, music, books and much more. The museum is situated on Boscastle harbour, so once you return from your magical journey, you can enjoy pretty sea views or head to the Cobweb Inn for a refreshing drink. Located in the heart of the old St Ives fishing community of Downlong, you’ll find St Ives Museum. Find out about shipwrecks with the photographs, models and rescue equipment in the boat building, discover methods of pilchard pressing and see the equipment used in the pilchard curing cellar, and view old mining photographs and tools in the mining area. There’s lots to discover at this Cornwall museum, which relates to the life and times of the area including farming, boat building, Victorian clothes, wartime memorabilia, model boats and toys. Children’s activity sheets can be bought for just 20p and there are also little cats and kittens hidden within the displays for children to have fun spotting. 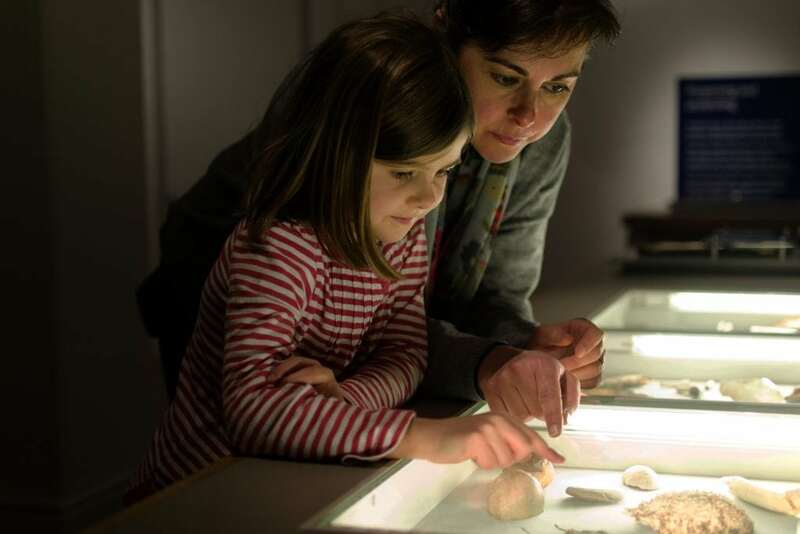 Explore thousands of objects from Cornwall and beyond at the Royal Cornwall Museum. The gallery collections include archeological finds from around Cornwall, ceramics, glass and metal crafts from around Cornwall and mineral specimens from Cornwall’s unique mining landscape. You can even discover Ancient Egypt, Greece and Rome with fascinating items including an Egyptian mummy. There are wildlife activities for children to have a go at, a great museum souvenir shop, plus the Arts cafe which is a great place to enjoy some tasty food or to relax with a hot chocolate or glass of wine next to the log burner on colder days. Step back in time to Poldark days and learn about 19th century mining in Cornwall. The historic Botallack Count House Workshop was once the stable where mine horses lived but is now a great place to grab tea and cake whilst soaking up the atmospheric setting. You can also find out more about the history of the area. Botallack produced 14,500 tonnes of tin, 20,000 tonnes of copper ore and 1,500 tonnes of refined arsenic during Cornwall’s mining days. Botallack was a submarine mine, with its shafts reaching an impressive 570m deep and extending nearly half a mile out to sea. 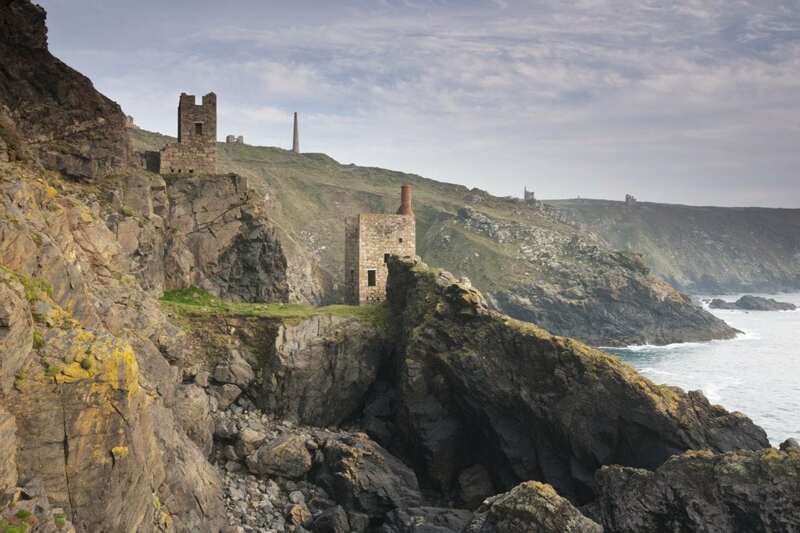 Download the audio trail from The Cornish Mining World Heritage website and take in the breathtaking views of the old mines and the dramatic coastline. Discover nearly 8,000 artefacts from over 150 shipwrecks at the Charlestown Shipwreck & Heritage Museum. There have been an estimated quarter of a million shipwrecks around the coast of Britain alone, many of which occurred off the coast of Cornwall. The displays at the museum are very varied, ranging from World War II exhibits, 400 year old cannon, coins and Nanking porcelain to items from the Medina, Invincible and the entire collection of recovered artefacts from the tragic warship Ramillies sunk in 1763. Enjoy some food at Loveday’s restaurant after you’ve had fun exploring this Cornwall museum. Set sail on a voyage across five floors at the National Maritime Museum Cornwall. The 15 galleries at the museum narrate the story of the sea and its impact on our history and culture. Discover amazing boats including the enormous Thames steam launch, Waterlily, from 1866, find lifeboats and jet skis in the discovery zone and see shipwrights at work in the boat building section. Look out for exhibitions and family events which take place throughout the year. As you can see from our Cornwall museum guide, Cornwall has a fascinating history that is just waiting to be discovered. Many museums can be easily reached from your St Ives holiday cottage, some are perfect for a longer day trip or excursion and others could offer a welcome break on your journey into or out of Cornwall.